Imagine taking a spring camping trip on Cape Cod. Now imagine taking a spring camping trip on Cape Cod with a sparkling private bathroom, an easily adjustable sleeping temperature, and luxurious linens. The second (perhaps more appealing) option could be how your family spends April school vacation. Ocean Edge Resort and Golf Club’s Happy Camper package extracts the unglamorous aspects of camping to leave you with just the fun and comforting parts. 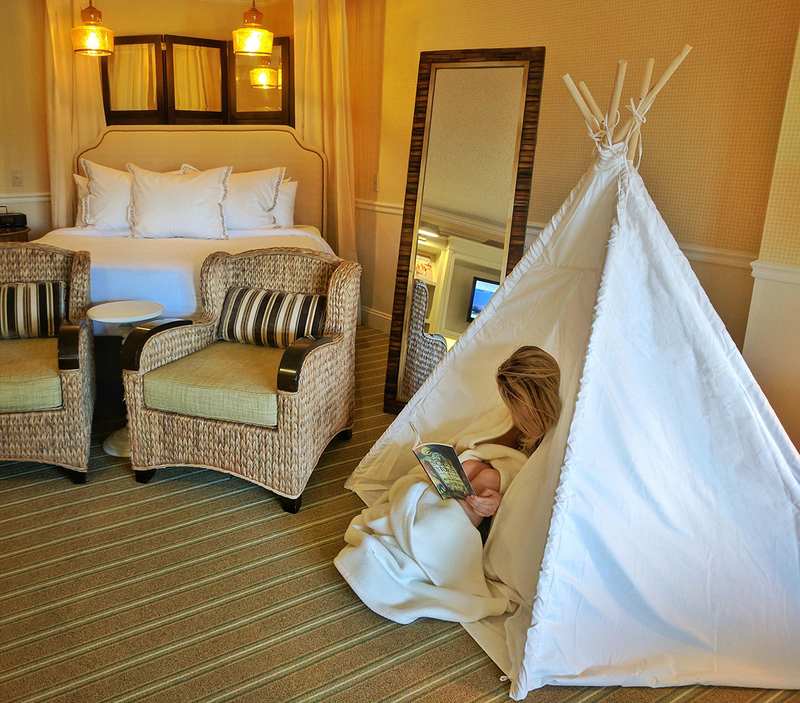 The adventure unfolds in an Ocean Edge Mansion guest room and includes an assembled children’s teepee, a stargazing lantern, an in-room movie, a selection of scary stories, and snacks like s’more cookies and cocoa. The Happy Camper special can accommodate two adults and two children comfortably. Rooms at the Mansion boast resort or garden views and are a short walk to a beach reserved for Mansion guests only. Ocean Edge also offers a heated indoor pool, a fitness center, and more. For more information, visit oceanedge.com.